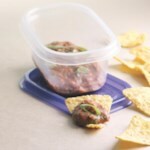 To make this bean dip healthier without sacrificing great taste, we use nonfat refried beans, reduced-fat sour cream, fiber-packed black beans and chopped fresh veggies. 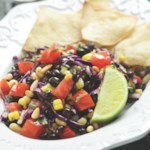 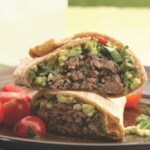 Serve with baked tortilla chips for a healthy appetizer or snack recipe. 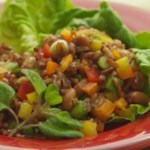 "Quick, Healthy Southwestern Layered Bean Dip Recipe"